The First Alert Tundra Fire Extinguisher Aerosol Spray is easier to use than traditional fire extinguishers. It discharges four times longer than regular extinguishers, making it ideal for fighting common household fires. The portable size and aerosol spray nozzle make using it fast and simple at home, on boats and RVs, and while traveling. The biodegradable formula used in this foam fire extinguisher is easy to clean up by simply wiping with a damp cloth. 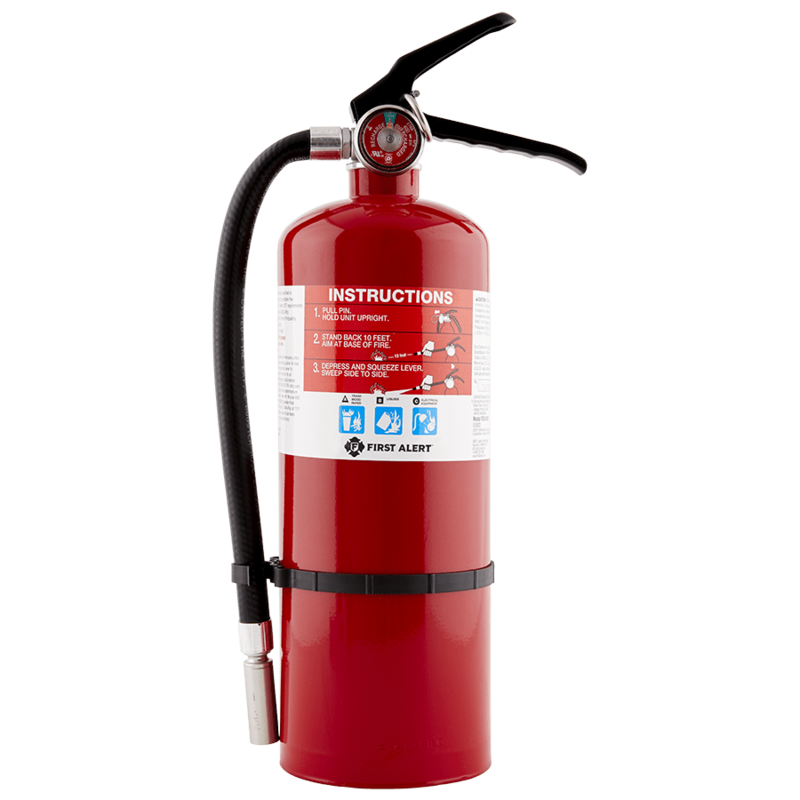 Traditional fire extinguishers can be bulky and hard to use. The First Alert Tundra Fire Extinguisher Aerosol Spray nozzle and compact size make using it intuitive and easy to use.. The spray discharges four times longer than regular extinguishers, helping ensure that nothing reignites. Each can weighs only a pound for easy hold, aim, and spray. The First Alert Tundra Fire Extinguisher Aerosol Spray covers up to three times the surface area of a regular actuator, meaning that fires get put out faster. Because the nozzle covers a wide area, the foam fire extinguisher spray can be used to help safely put out a fire, even without perfect aim. The non-rechargeable home fire extinguisher aerosol spray helps to make spaces safer. The home fire extinguisher spray’s biodegradable formula works on fires involving wood, paper, fabric, and cooking oils, making it a great safety solution for kitchens, boats, and RVs. The First Alert Tundra Fire Extinguisher Aerosol Spray also works on electrical appliances and equipment, and is perfect for keeping in the garage or the workshop in case a small fire breaks out. The size of this portable fire extinguisher spray makes it easy to put a can everywhere in your home.